Books & Journals at The Weed Patch! We carry address books, journals, date books, cook books, and more from Lang, Legacy, Gooseberry Patch, and more as we find it! 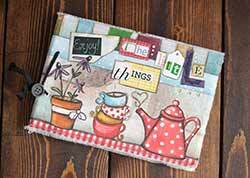 Enjoy the Little Things Journal, by Carson Home Accents. 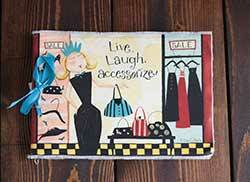 Features the sweet mixed media artwork of Robin Davis, great for notes, as a diary, or a scrapbook or art journal! Homemade Harvest Gooseberry Patch Cookbook is full of fall recipes for harvest stews, autumn desserts, pies, pumpkin bread, and more! Great for thanksgiving! 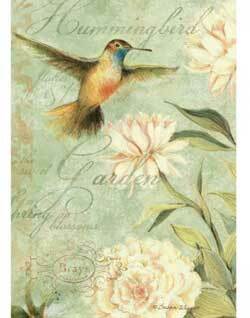 Hummingbird Deluxe Journal, by Lang. 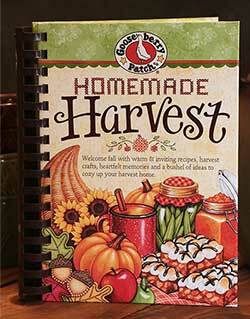 This beautiful hard-back journal features full color artwork designed by Susan Winget. Features: Book bound with hard cover, premium paper stock pages, elastic band closure, ribbon page marker, and 240 lined pages. Measures 6 x 8 inches. Features colorful artwork of Dan Dipaolo, great for notes, or mixed media art! 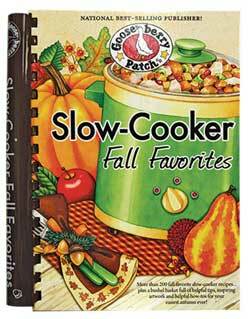 Slow-Cooker Fall Favorites Cookbook, by Gooseberry Patch. This recipe book is full of savory meals made with hearty fall flavors. Contains inspiring quotes, kitchen tips and cooking secrets. Like all Gooseberry Patch recipe books, this one has down-home cooking and special family favorites that have been passed down over the generations. This spiral-bound book is easy to use with an index of recipes in back for quick reference. Measures 9.25 x 6.5 inches.